We'd like to understand what the devil matter is all about." WGN's newest TV show The Manh(a)ttan Project debuted last night. The overall concept is amazing and well structured due to historical complexities surrounding atomic science and its impact. Man's relentless curiosity into matter left him with matters concerning himself along-side the posterity of his work. I guess the devil is in the details. The race for atomic achievement will be man's tragic romance with science for all of eternity and I will tell you why. Just as fast as the scientist broke down matter, he quickly designed new forms in its place to study. The TV show's story-line begins in 1942. This timeline should provide some useful details in understanding the state of urgency that caused man and science to test the laws of both man and nature. Albert Einstein, through his 17-page, Noble Prize-winning paper states light is consisted of particles, calling it the photoelectric effect. Publication by Rutherford describing the details that follow. He first performs his famous high-speed alpha particle test confirming the existence of a nucleus using a small glass disc coated in zinc sulfide crystals. The disk or screen sparkles when in contact with alpha particles. Experimenting further with this radioactive source, he injects various gases including nitrogen which lights up the screen, indicating the gas had been disintegrated. Rutherford successfully smashed the nitrogen atom's nucleus, breaking it down into protons (Hydrogen atoms). Erwin Shrodinger calculates a mathematical formula that can serve as the foundation for any such wave phenomenon. 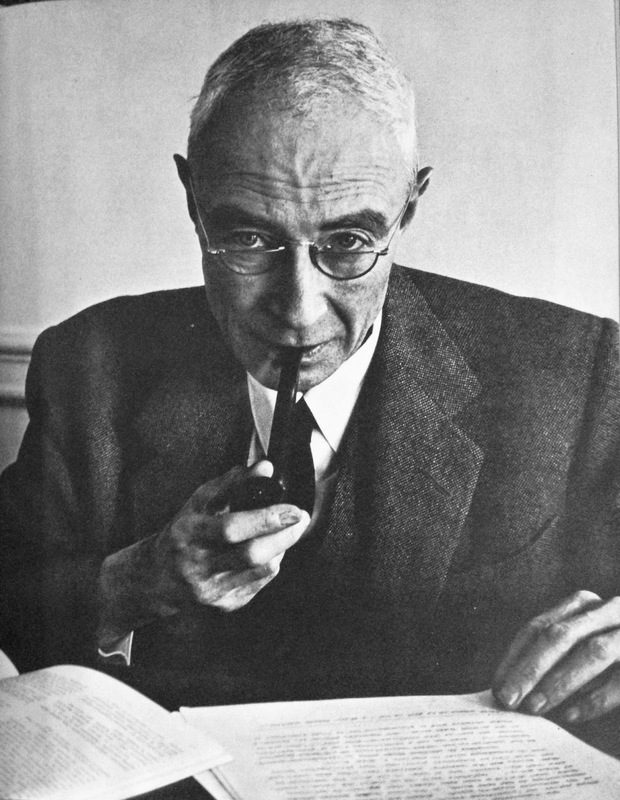 British physicist P.M.S. Blackett confirms and produces photographic evidence of Rutherford's atom smashing claims that took place in a cloud chamber. A whooping 23,000 times. Werner Heisenberg states there is no way of keeping precise tabs on an electron or any atomic particle. California Institute of Technology's Dr. Carl Anderson discovers positive electrons, positrons that exist very briefly. In that brief period, when a positron encounters an electron, the two antithetical particles annihilate each other, releasing energy. Japan's Hideki Yukawa, a theoretical physicist, estimates a linking particle would have to weigh 200 times as much as an electron to break the nuclear force. Carl Anderson announces discovery of a particle with a mass of 200 times that of an electron. It was named a mesotron, later shortened to meson. Otto Hahn & Fritz Strassmann, radio-chemists of Nazi, Germany bombard uranium with slow neutrons obtained from a radium-beryllium mixture. Target analysis concludes the element to be that of barium, an element whose atomic weight is half that of uranium. Perplexed, Hahn reports his findings in a letter to his former colleague of 30 years, Lise Meitner, who had fled Hitler's Third Reich five months earlier. While in exile in Sweden, Meitner receives Han's letter alongside her nephew, Otto Frisch, also a physicist who fled Germany at the time. When finished, Frisch hurries back to Copenhagen and manages to catch Niels Bohr on his way to America. 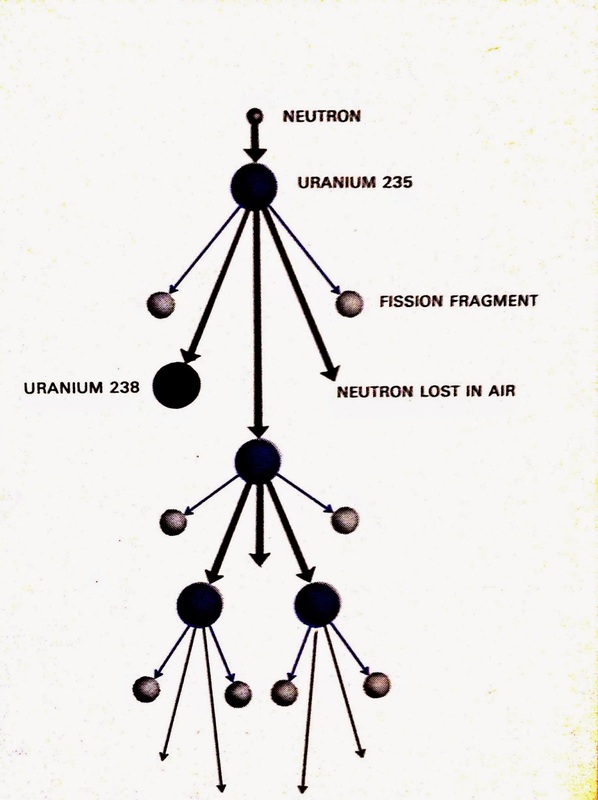 This is where Frisch explains the process of nuclear fission. Jan. Bohr's news he received from Meitner and Frisch spreads rapidly through-out the foreign scientific community arriving on US soil. Even Fermi, himself takes up a post at Columbia University to avoid Italy of Benito Mussolini. 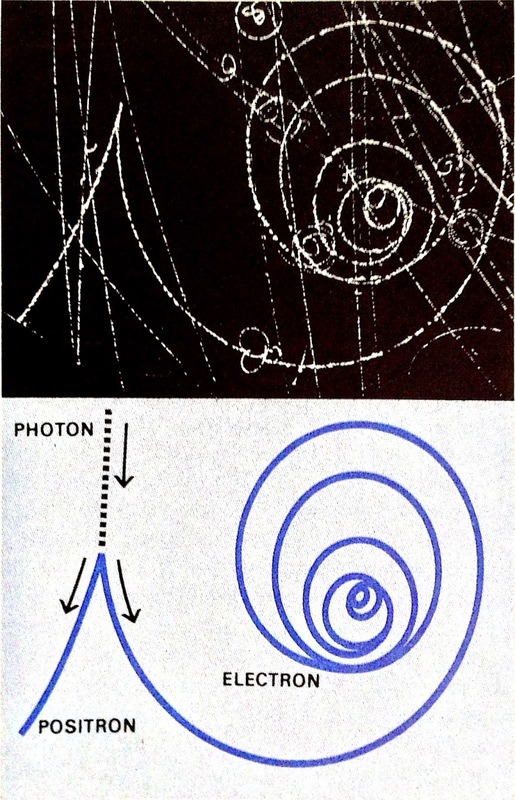 Upon hearing the news, Fermi speculates the fission process and applies the term chain reaction to the phenomenon. Leo Szilard and Walter Zinn set up a simple experiment, where flashes of light would confirm neutrons were being emitted from fissioning uranium. "We turned the switch and we saw the flashes. We watched them for a while and then we switched everything off. That night there was little doubt in my mind the world was headed for grief."